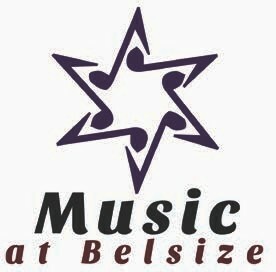 Music at Belsize is delighted to invite you a Night at the Opera. 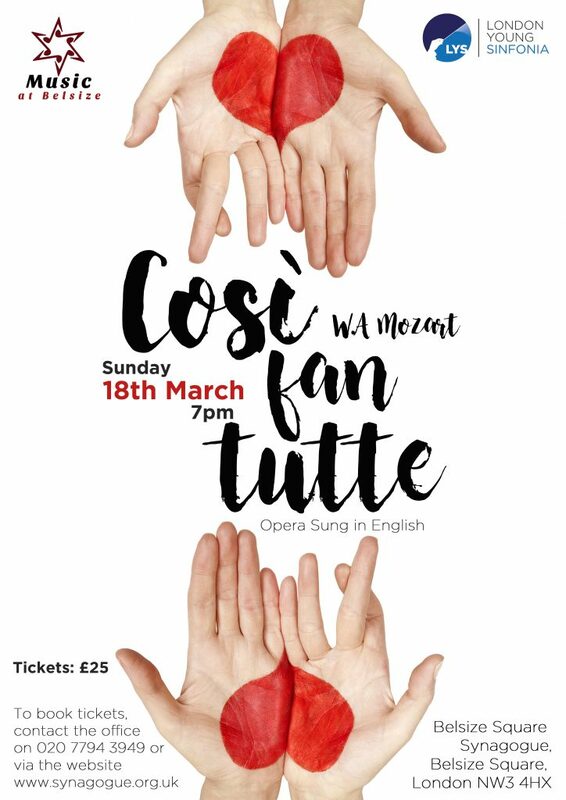 We have a wonderful cast of some of London’s finest young opera singers accompanied by an orchestra of professional musicians in Mozart’s comic masterpiece, Cosi Fan Tutte. This is a production that was first performed at the Waterperry Festival last Summer and we are thrilled that the cast and musicians have accepted an invitation to put on one last performance at Belsize Square. The opera will be sung in English and performed in the intimacy of our own sanctuary. Whether you are a regular opera goer or are looking to enjoy your first live opera this will be a magical evening. Due to the number of performers, seats are more limited than usual. We therefore suggest you make your reservations as soon as possible on the website or by contacting the Synagogue office. This is our most ambitious event to date and we would like as many of our supporters there to enjoy a unique evening of music.